For decades, the idea of a Mary Poppins sequel seemed completely sacrilegious, a notion undercut by the current climate of reboots and reimaginings. Perhaps the only surprise is that Mary Poppins Returns took fifty years to come to fruition. Disney appeared aware of the delicate nature with which one must approach a return trip to Cherry Tree Lane, crafting a film that paid homage to its predecessor while simultaneously doing its best to put some healthy distance between the two. Julie Andrews’ performance as the magical nanny is one of the most iconic in film history. For all the ways that Emily Blunt appeared destined for failure in taking such a daunting task, she rather effortlessly makes quick work of any notion of comparison early on. Quite literally, Blunt’s Poppins hits the ground running, exhibiting great comfort in the role. The choice to set Returns twenty-five years after the original gave room for Blunt to play the ageless character with a greater sense of reserve than Andrews, while maintaining the quirky sense of confidence that has made the character so endearing for all these years. A big part of Blunt’s effectiveness is her reluctance to play on the audience’s inevitable nostalgia. She remains ever-faithful to the character while never stooping to the level of impersonation. As much as Mary Poppins has remained Julie Andrews’ over the decades, Blunt transforms her into an entity similar to James Bond, a character with traits the audience expects and others that are open to interpretation. The supporting cast eases Blunt’s burden with energetic performances that keep the audience smiling from one musical number to the next. Lin-Manuel Miranda’s charm is quite contagious, wearing such an authentic smile on his face throughout the film that you can’t help but share in his obvious joy. Colin Firth does an excellent job as the ruthless banker William “Weatherall” Wilkins, whose efforts to repossess the Banks’ home serves as the film’s primary conflict. Jeremy Swift, best-known for his role as the Dowager’s prickly butler Spratt on Downton Abbey, delivers a delectably sinister performance as Wilkins’ eager enforcer Hamilton Gooding, aided by his softer counterpart Templeton Fyre, played by Kobna Holdbrook-Smith. Mary Poppins Returns demonstrates a careful deployment of its title character, who largely plays a backseat role in the primary conflict between the Banks family and Wilkins. Ben Whishaw and Emily Mortimer deliver compelling performances as the grown-up Michael and Jane, while the film’s child actors anchor the dramatic tension. Many sequels make the same mistake of doubling down on the assets that made the original so memorable, but Mary Poppins Returns exercises considerable restraint, making each of the Poppins-centric scenes are the more memorable in the process. The biggest flaw of the film is its run time, which goes on about a half hour more than it probably should have given the simplicity of its primary objective. As a result, the second act drags its feet a bit in service to an entertaining yet unnecessary cameo by Meryl Streep. The musical numbers fail to reach the iconic status of the original songs, but deserve a lot of credit for their originality. 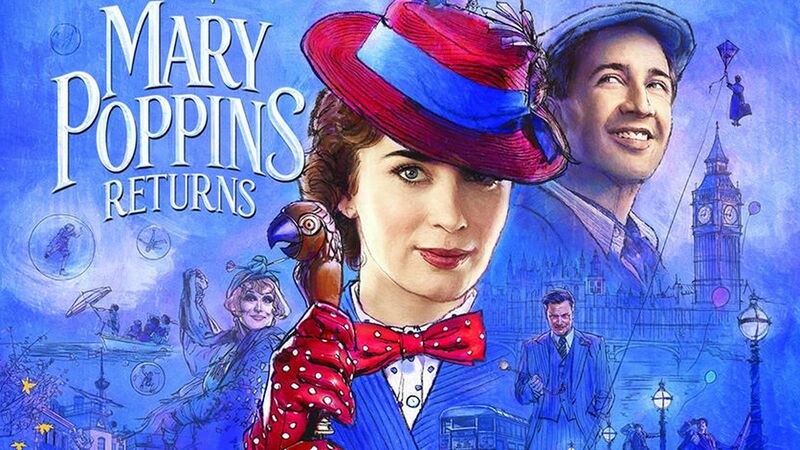 Mary Poppins Returns delivers a delightful experience that crafts its own magic while remaining faithful to its source material. Disney held itself to the highest standards, never content to settle for a cheap cash grab. The production values and the performances make for a highly entertaining movie-going experience well-worth the trip to the theatres.